1. 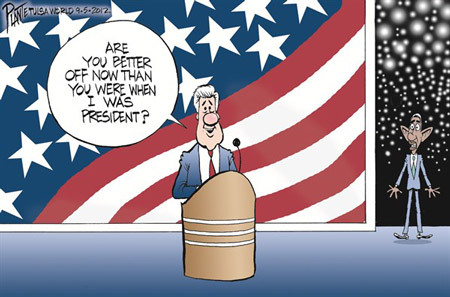 What question, often asked in presidential elections about an incumbent candidate, is this cartoon based on? 2. Irony is defined as when the opposite of what you expect to happen occurs. Describe the irony in this cartoon. Cartoon by Bruce Plante, Tulsa World.com.